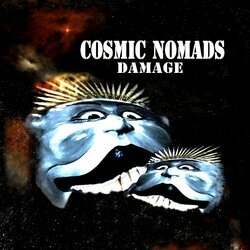 "What an extraordinary journey Cosmic Nomads have taken since singer, songwriter, keyboards player and now guitarist Ray Vanderby took himself into a recording studio a decade ago with a vision that embraced all the musical elements that had not only influenced him but also had been aspects of an extraordinarily diverse career to that point, which had seen him playing hard rock behind Stevie Wright, to, well, a cosmic mix of peace, love and perhaps even interplanetary visions. Losing You is a heavy passion filled song about feeling rejected by the one you love. Insincerity and lies and deceit.